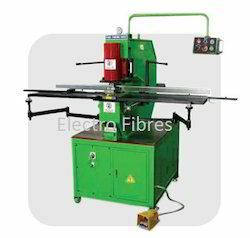 We are counted among the leading manufacturers, suppliers, traders and exporters of a wide array of Namsung Busbar Cutting Bending and Punching Machines. 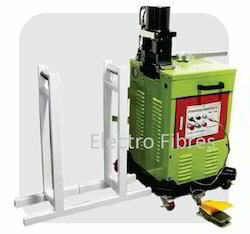 All the offered machines are manufactured under the strict surveillance of highly experienced professionals. Our experts do not compromise with quality and make sure to use excellent quality components and spare parts in the manufacturing process. With the help of our distinguished professionals, we have been able to bring forth Namsung Busbar Cutting Bending and Punching Machines. These machines are fabricated using high grade components and spare parts that are sourced from trusted vendors of market. Furthermore, clients can avail these products from us in various specifications at nominal rates. We are identified as one of a prominent organization engaged in offering high quality Bending Machine. The offered products are manufactured using excellent quality material that is sourced from most trusted and reliable vendors of the market. All these products are known for their high performance, longer functional life and sturdy construction. Max Workpeice Size 79" x 10"
Customers can avail from us a vast array of Bending Machine. All these machines are manufactured using high grade spare parts and components so that these are in tandem with international quality standards. Our range is inspected on various parameters of quality in order to rule out every possibility of defect. 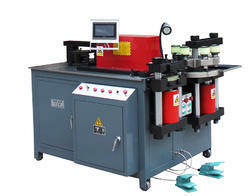 We are committed to offer our clients, a wide collection of Namsung Busbar Cutting Bending and Punching Machines. In tandem with international quality standards, these machines are used for printing on bottles. To cater to the varied demands of clients, we offer our range in different technical specifications at market leading prices. 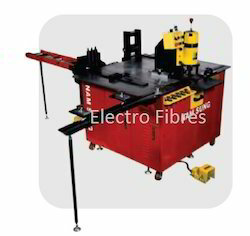 Looking for Busbar Bending Machines ?